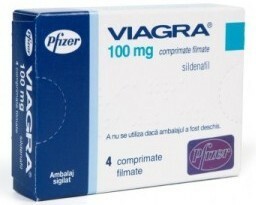 Recent studies link Viagra to an increased risk of melanoma, the deadliest form of skin cancer. A 2014 study found Viagra increased the risk of deadly skin cancer by nearly double. Even men who took the drug for a short time had a higher risk. Men taking Viagra are at an increased risk for developing skin cancer. They were not warned. If the skin cancer is found early, more men are more likely to survive. The survival rates for melanoma are estimated based on the stage of the cancer. Doctors determine the stage of cancer by how far the cancerous cells spread in the body. At Stage 1, the cancer is still local and easy to remove, but by Stage 4, the cancer has spread to lymph nodes and other organs. If you have taken Viagra and developed skin cancer, please contact our firm immediately to see if you are entitled to compensation. Time may be running out so Contact us now. The Dampier Law Firm, P.C. © 2016, Dampier Law. All rights reserved.